Jul 04, 2001 in "The Hall of Presidents"
LAKE BUENA VISTA, Fla. -- The Hall of Presidents, the Walt Disney World Magic Kingdom popular, patriotic tribute to the office of the presidency and democracy in America, is being updated to include the 43rd president, George W. Bush. 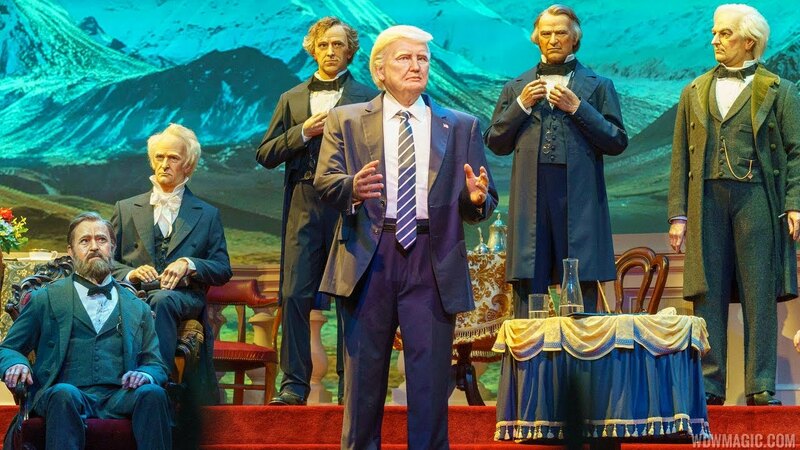 The Hall of Presidents re-opened last month with the first of its changes, the moving of the Audio-Animatronics figure of Bill Clinton to take its position with the other former presidents. This interim show will not include President George W. Bush. However, a “Making of the George W. Bush Audio-Animatronics Figure” display will be featured in the attraction’s rotunda area. The exhibit will showcase the extensive and detailed research Disney designers, craftsmen and technicians do to create the presidents, not only studying their physical characteristics, but also their hairstyles, clothing, fabrics, jewelry and mannerisms to create the presidential figures as authentically as possible. White House staffs of all the presidents since Lyndon Johnson have provided key input to accomplish this authenticity. At the end of summer, the figure of President Bush will be added and The Hall of Presidents will re-open in late fall. Located in Liberty Square in the Magic Kingdom at Walt Disney World Resort in Florida, The Hall of Presidents is a one-of-a-kind Disney classic originally envisioned by Walt Disney himself. In the moving and patriotic show, which features a film in which specially produced paintings are projected onto a huge screen, guests learn about the origins of the Constitution and the presidency, and the challenges both have faced since the founding of the Republic. 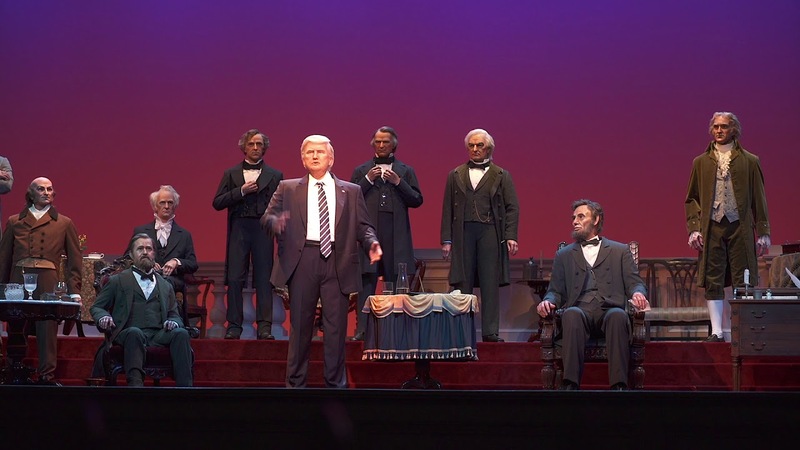 Then, in the most dramatic moment of the show, the screen parts to reveal America’s presidents, brought to life by the magic of Disney’s Audio-Animatronics technology, which electronically combines and synchronizes voices, music, sound effects, animation and other show elements to give life-like movement to three-dimensional figures. A patriotic and emotion-stirring finale finds the figure of our 16th president, Abraham Lincoln, rising from his chair to deliver words that still resonate with modern audiences, almost 140 years after they were first spoken. The Hall of Presidents was last refurbished and updated in 1993 with the addition of an Audio-Animatronics figure of Bill Clinton. Also, for the first time, the attraction featured words spoken by a sitting U.S. President. President Clinton provided his own voice to a short speech heard during the show. The audio for the speech was recorded in the White House library.